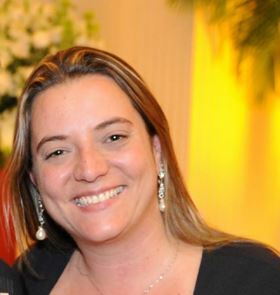 Erika Bernardino, manager of ALMACO. Latin-American Composite Materials Association (ALMACO) has joined the startup support program carried out by composites firm JEC Group. Entitled Startup Booster, the program is designed to speed up the development of innovative solutions using composites. ‘ALMACO will work as a partner to recruit university spin offs and startups, as well as small and medium-sized companies in Brazil that are involved in projects conceived to create new composite materials, products, applications and processes,’ said Erika Bernardino, manager of ALMACO. The Startup Booster is divided in two categories: ‘Processes,’ which judges design and manufacturing technology solutions, and ‘Materials and Products,’ geared towards the development of new materials and applications. The ten companies chosen by the JEC Group jury will be able to to pitch their projects to potential investors at the JEC World 2018 fair, in Paris. The three winning companies will receive a €10,000 prize. ‘This is a unique opportunity that Brazilian companies have to pitch their projects on a global platform that is renowned for its excellence in innovation,’ said Bernardino. This story is reprinted from material from ALMACO, with editorial changes made by Materials Today. The views expressed in this article do not necessarily represent those of Elsevier. The organizers of JEC World says that it had more than 1,300 exhibitors and 42,445 visitors from 115 countries.